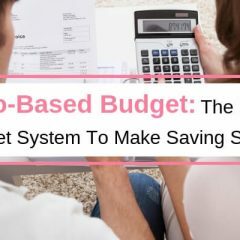 Are you struggling with creating a solid budget to help you pay off debt and save more money? 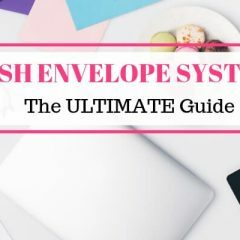 Have you been looking for the right envelopes for your Cash Budget System but can’t seem to find the perfect one? I’ve got you covered! Check out these super convenient, and might I add super cute, printable envelopes! That’s right, hthese are printable envelopes! 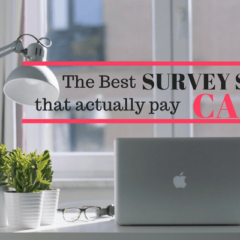 This cash envelope prints out on a standard 8′ x 11.5″ sheet of paper and there are 5 awesome colors to choose from. 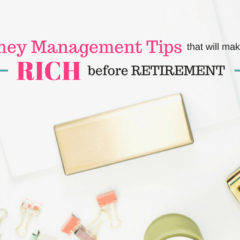 Once you print it out, just trim the excess paper off, fold it up, give it a little glue to hold the ends together and you now have the perfect envelope for your cash budget system! Each envelope has a “Budget Category Title” block on the front and back. The back of the envelope also contains spots to track how you spend your money during the budget timeframe. I love being able to write on the back of the envelope so I can track where I spend my money. 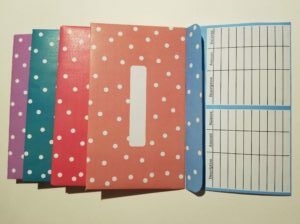 With the grid already laid out for you, it will be super easy to keep things organized! The coolest part about this is that once you download these, you have them forever!! No need to purchase more or worry about upgrading later. If we add more colors, you get the updates for FREE for LIFE!!! 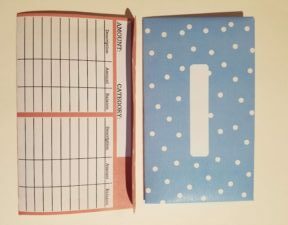 Why spend $20 on a budget wallet or some other bulky envelope system when you can save a ton of money with these cute envelopes!